Lionel Messi will stay at Barcelona and his relationship with the club will last "forever", according to club president Josep Maria Bartomeu. 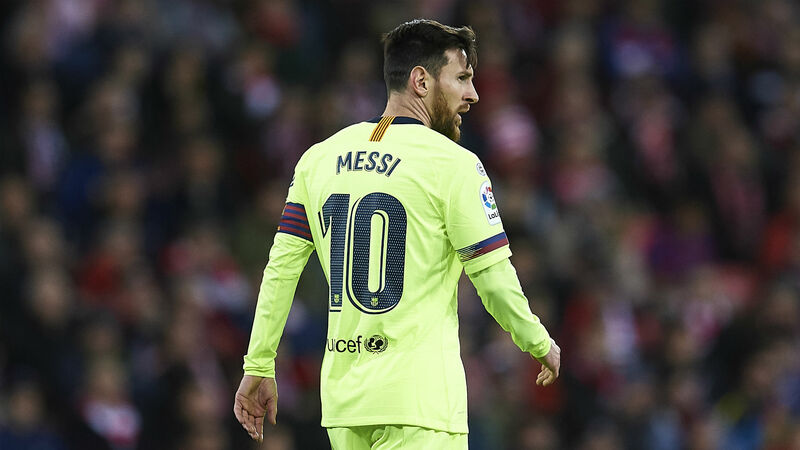 Messi, 31, is enjoying another fine season with the Catalan giants, having scored 21 goals in as many LaLiga games this season, with Barca six points clear at the summit. Messi has previously stated his desire to play in his native Argentina with Newell's Old Boys before he finishes his career. "Leo Messi will continue with us," Bartomeu told RKB. "He is a club player and the relationship will continue forever. "He has told us that he wants to continue. We have offered him a new contract over five years and I hope we will continue discussing the deal." Bartomeu also expects coach Ernesto Valverde to remain at the club for the foreseeable future, adamant he will stay even if they win no trophies this season. "I believe he will stay," he added. "He trusts his players and it is only his second season in charge.